We thought it would be a grand idea to showcase some of the toys we have bought, have made ourselves or have had someone else make for us. This will hopefully explain their use, inspire you, and teach you a little bit about the archaeological evidence for these objects. The first tool to gain this prestigious award is our newly made drawhorse. A drawhorse (or shavehorse) is an elegant and simple machine constructed to hold still and clamp a piece of woodwork using a foot bar or treadle in such a fashion that the worker has both his hands free. This allows the use of specialist two-handed tools such as drawknives or spokeshaves. These machines are used extensively in green wood working, particularly in preparing a billet of wood for turning on the pole lathe. Being made entirely of organic materials (i.e. wood) the evidence for drawhorses in prehistory is scant. We know for sure they had the tools (drawknives etc. 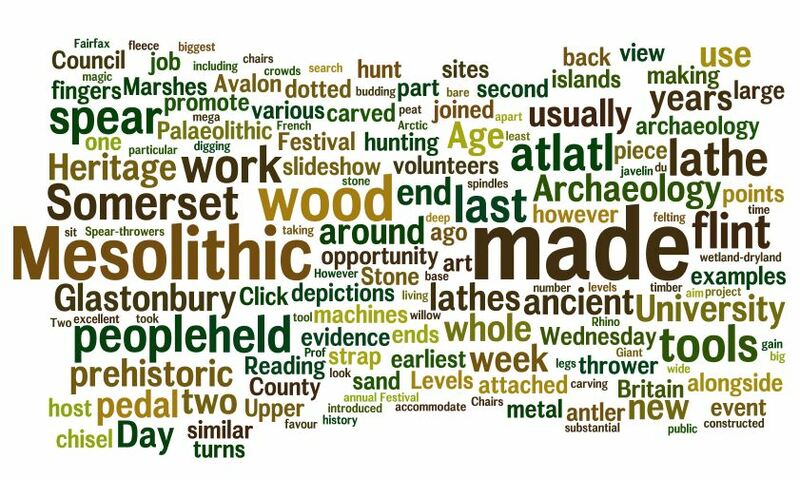 ), with ferrous examples in the Iron Age and perhaps earlier with certain types possibly being made of stone. However, that still doesn’t change the fact we have no evidence of the machine itself until the Romans and more securely in the medieval period. A 1556 depiction from the great tome De Re Metallica. Our lovely example was made for us by a local bodger (green-wood worker) called Richard Devaney. He constructed the machine out of oak with some additions of ash, working these materials exclusively with hand tools. 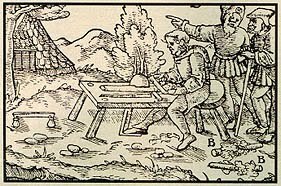 Mid 16th century depiction of a German cooper at work on a drawhorse. Our drawhorse and drawknife with the obligatory masses of wood shavings. The drawhorse in use, making a prehistoric paddle.